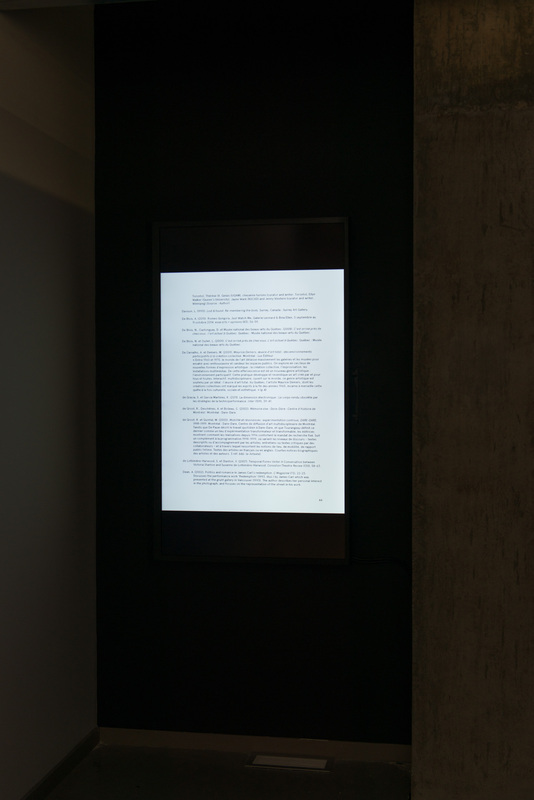 November 1st – December 15th, 2017. 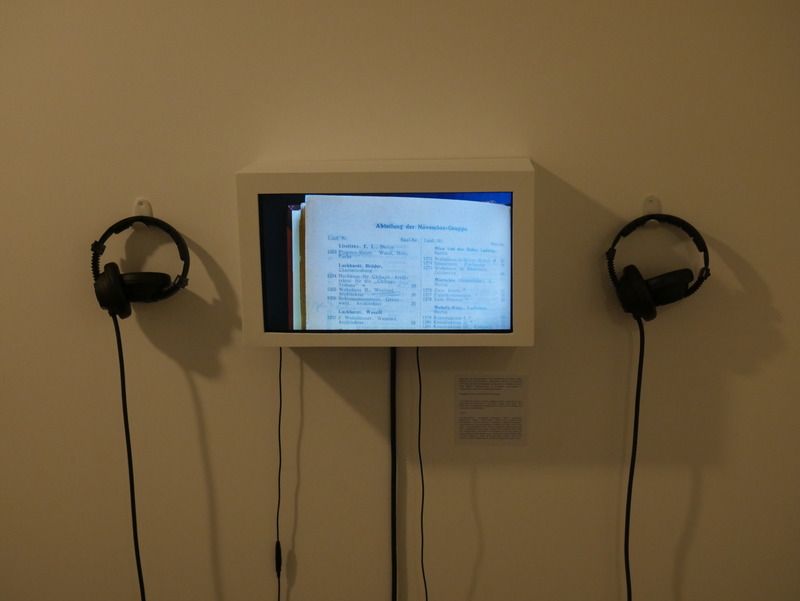 Reading Performance is the third edition of the two-fold exhibition project An Annotated Bibliography in Real Time first presented at Artexte in 2015. 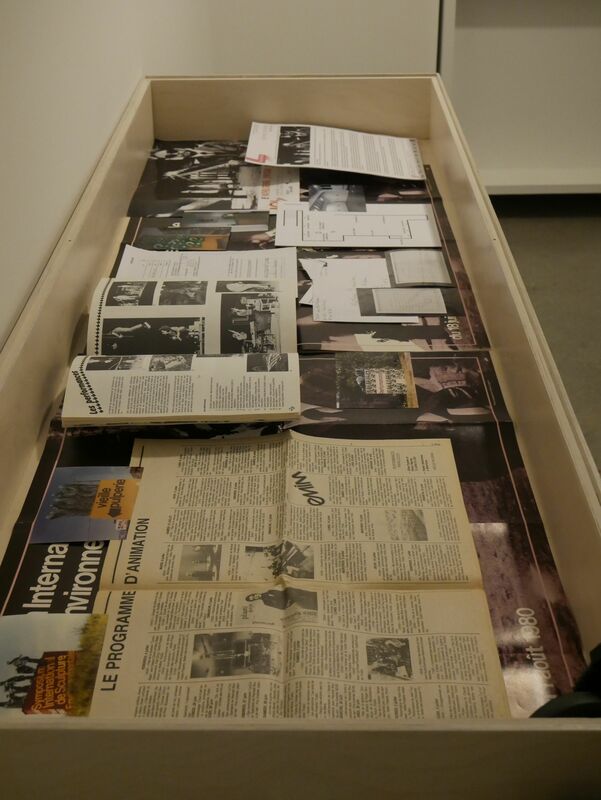 Echoing the lively research context at Artexte, this project, taking form as an exhibition, as well as a series of screenings and talks offers a dynamic space for discussion and exchange on past and present performance-based practices, writings and bibliographical research in Quebec and Canada. 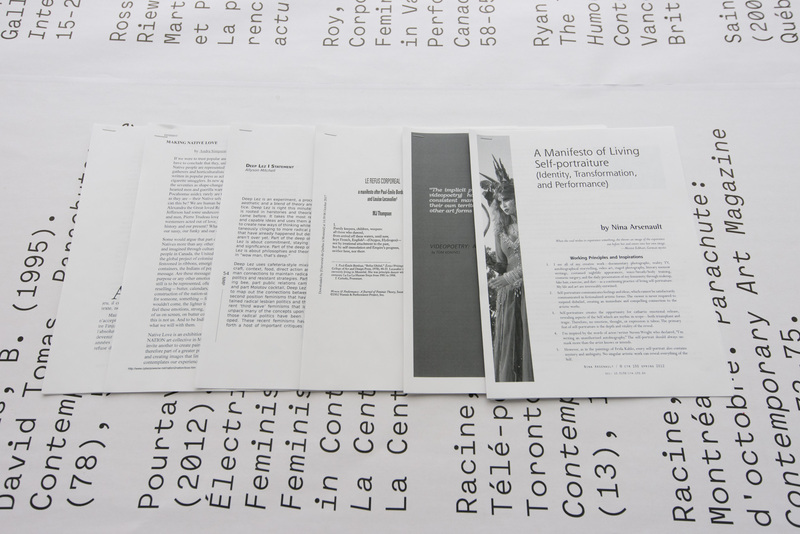 This latest rendition is part of the long term university research project An Annotated Bibliography: Performance Art in Quebec and Canada initiated by the Art History Department at UQAM. 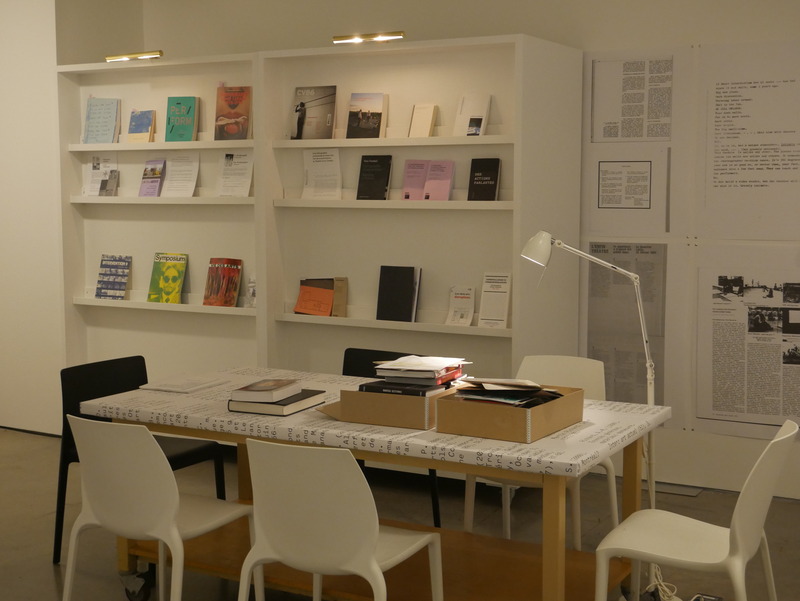 It is dedicated to an extensive bibliographic survey and a comprehensive overview of writings, publications and printed matter on performance-based practices since the 1940s on a local, provincial, and national level. 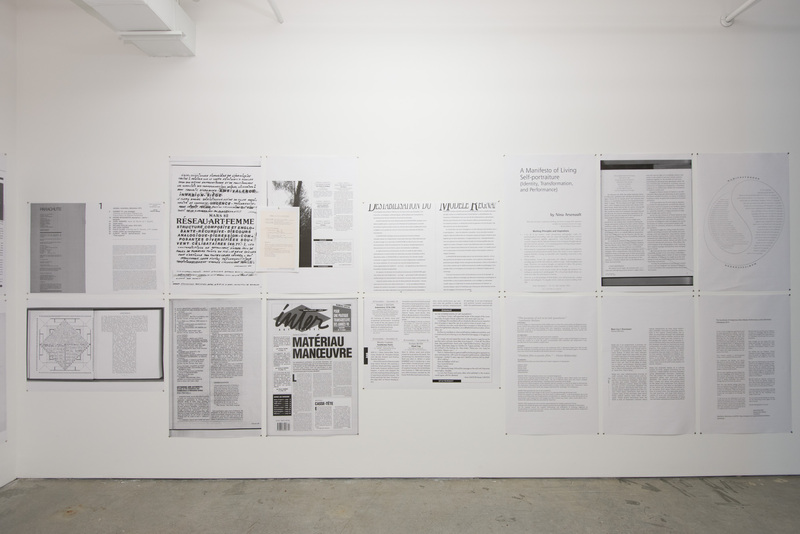 By taking account of the wide variety of existing publications and discourses Reading Performance reflects on the collective spirit inherent for performance art, shedding light on various modes of production and circumstances of experience as well as the ongoing reception of performance art, over more than half a century. 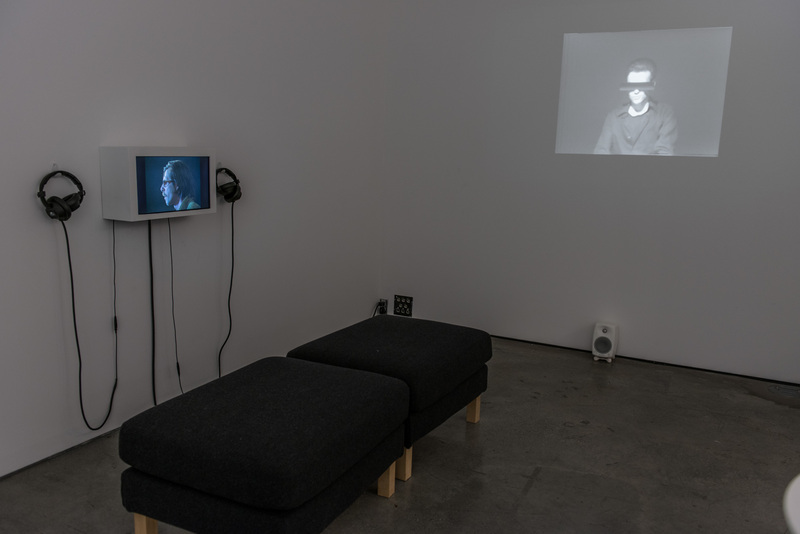 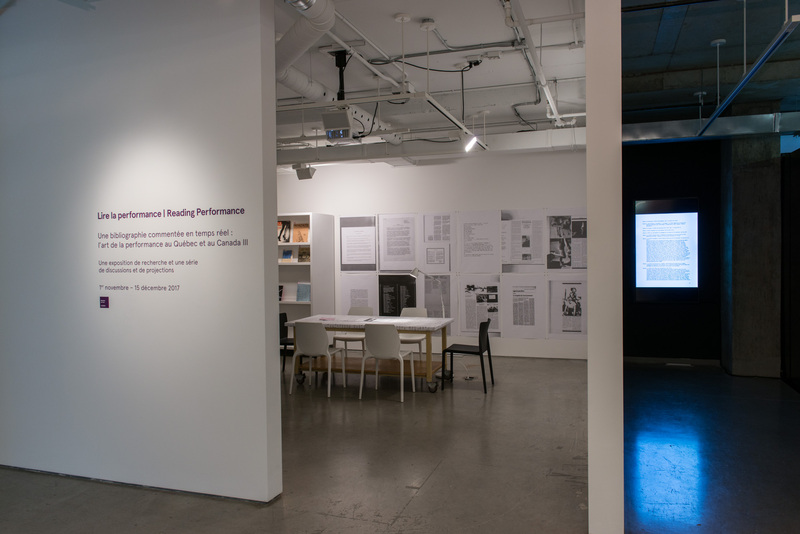 Reading Performance is a research and writing laboratory that aims to occupy the exhibition space in such a way as to reflect and generate diverse discourses on performance art, as an inherently interdisciplinary an hybrid medium. 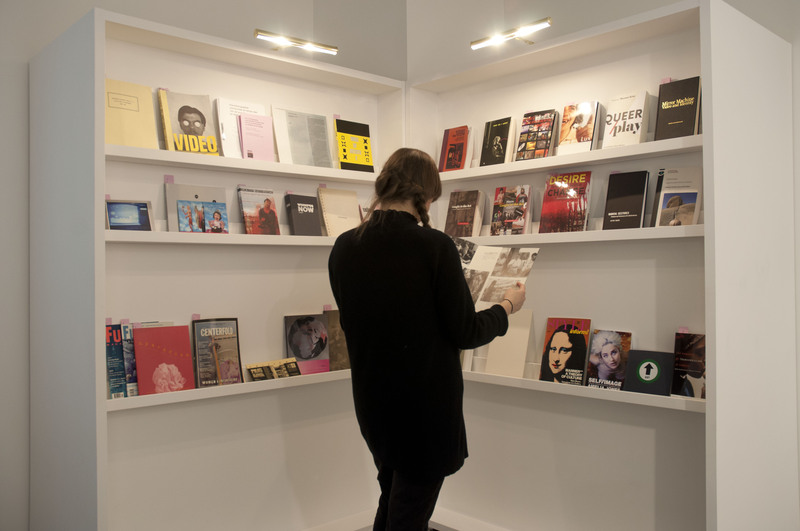 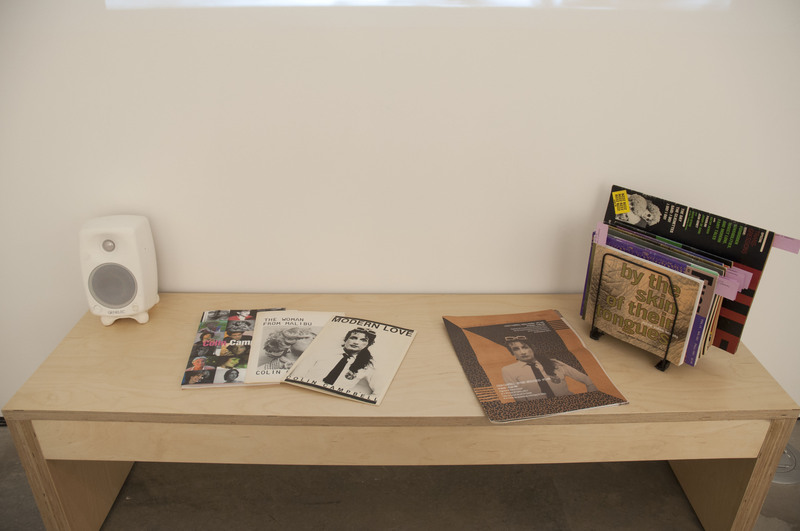 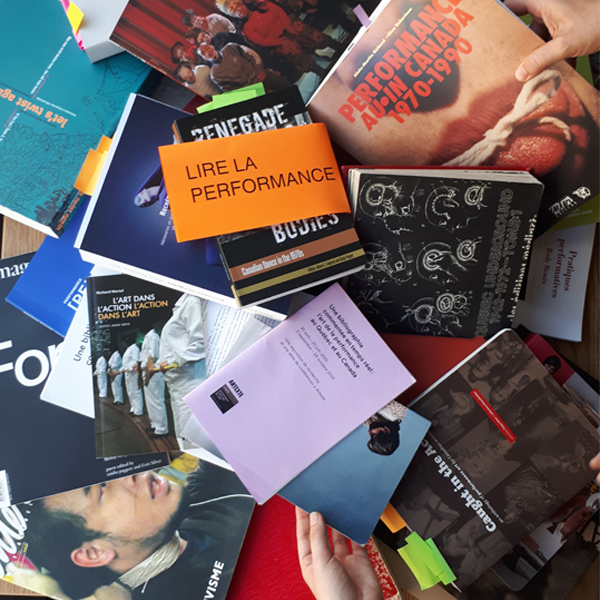 Within this context the bibliography becomes a discursive tool active in the here and now, a method used to deepen and refine connections between the practice, production and writing of performance art. 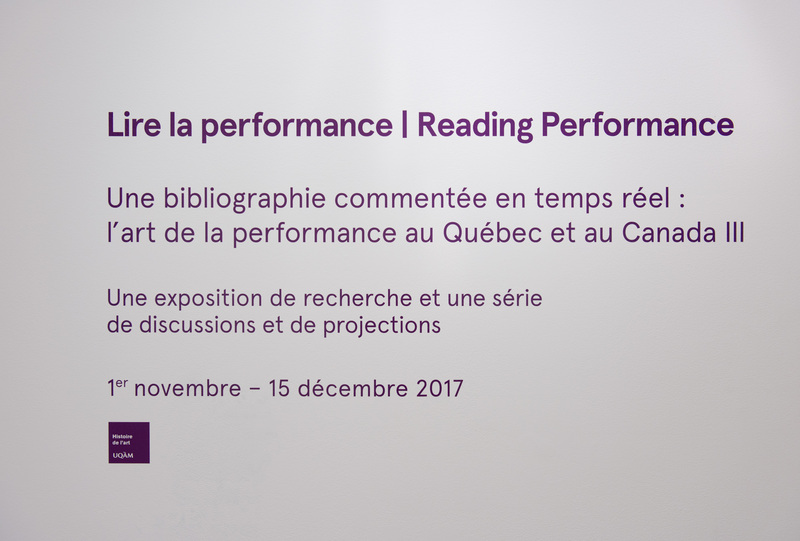 Reading Performance is a situation, as well as a process and way of reflecting on the relationship between research and artistic production. 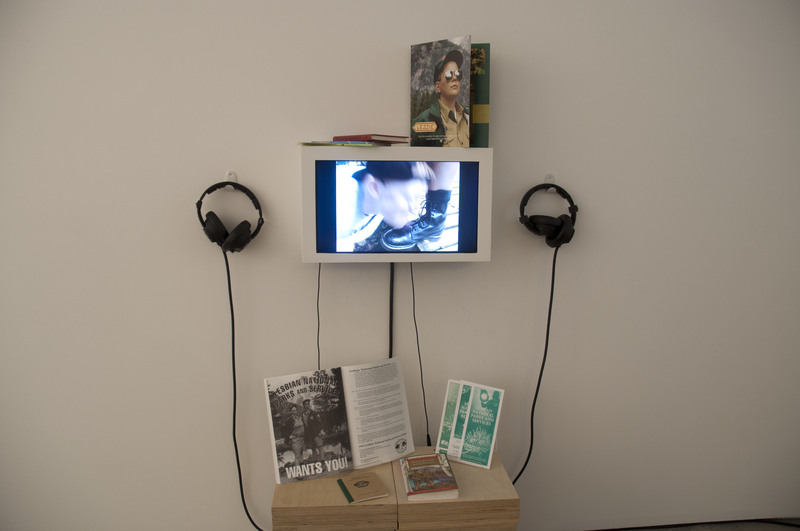 This exhibition residency revolves around three main themes: text, space and image. 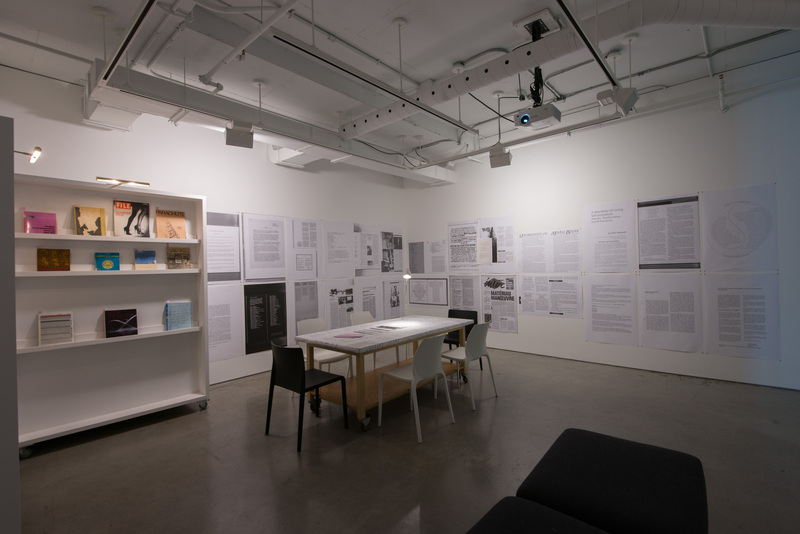 The setup of the exhibition is updated and transformed throughout its three iterations via selected texts, documents and videos. 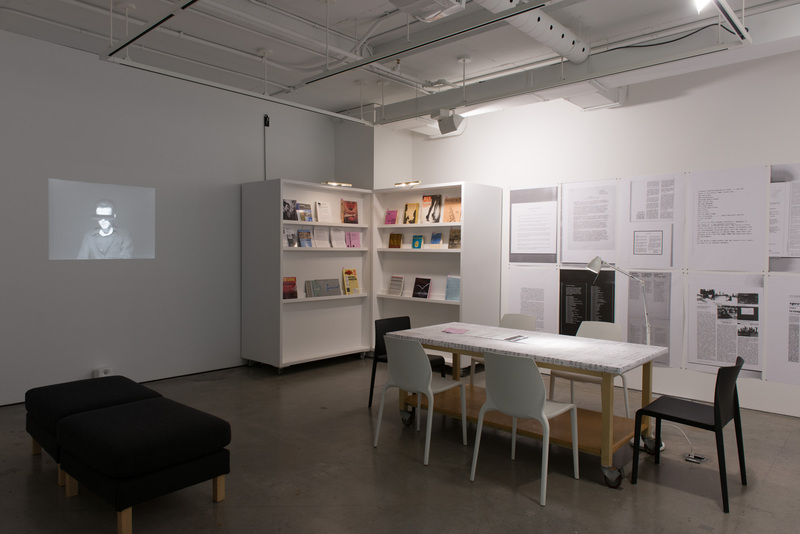 As part of the programming, discussions and bibliographic annotation sessions are organized in the space during the exhibition period.